The ARDE Dilumelt (Dispershear) has been specifically designed to automatically and continuously mix dry solids, including fine hard-to-wet powders, into fluids, such as water, oil and similar low viscosity liquids. Each ARDE Dilumelt has three major sections: a dry material delivery section, a unique fluid distributor and a low shear dispersion chamber. The solids, which can be flakes, pellets, granules or very fine powders are put into a vibrated hopper. 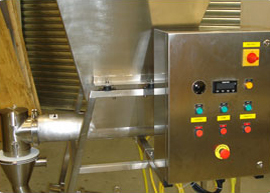 The solids delivery system is adjustable to obtain the desired solid feed rate. The moving solids fall as individual particles into the center of the powder chute. The fluids enter through a rotometer, that is set at the desired rate, to the fluid distributor. 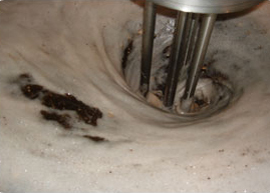 The distributor alters the flow into a film that washes the walls of the powder chute. The Impulser, rotating inside of the dispersion chamber, creates a negative pressure differential that pulls the falling solid particles, which are inside of the fluid film, into the center of the dispersion chamber. 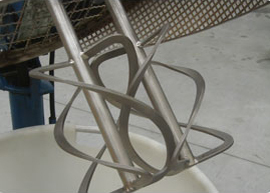 Centrifugal force abruptly changes the direction of the entering powder and fluid. The mixture is subjected to a mechanical and hydraulic low shear dispersing action. The mix is quickly swept toward and around the wall of the dispersion chamber. The impulser swirls the mixture around to the centrally located bottom outlet. The product produced by the Dilumelt is both uniform and lump free. 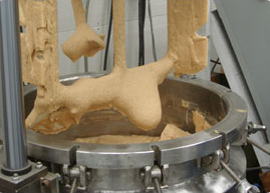 Powders that contact the fluid and hydrate or swell or become sticky are easily mixed. Mixtures have been made where the percentage by weight solids has ranged from under 1% to over 60%. The Dilumelt can handle nearly all fine solids including, very light (15 lb/ft3 and less) powders and high density (in excess of 50 lb/ft3) solids. 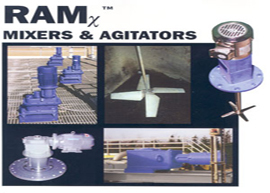 Both the liquid and the solid flow rates are independently adjustable. High viscosity dispersions and low viscosity mixtures are easily and continuously made with the ARDE Dilumelt. Alginates, gums, bentone, flour, starch, milk powder, iron oxide, carboy methyl cellulose, graphie, silica and similar fine, hard to wet powders are continuouly mixed by the ARDE Dilumelt without lumps, fish-eyes or agglomerates in the product. The two models of the ARDE Dilumelt are currently available. 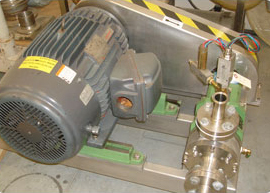 The 1/2 HP Model D-800 ARDE Dilumelt has been designed for use as a bench-top research device or pilot plant continuous mixer and is capable of meeting the production needs in small plants. 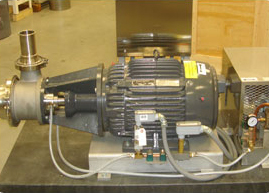 The 5 HP Model D-6000 ARDE Dilumelt is sized for use in production plants. Installation, use and cleaning is fast and easy with both models. Each model has Type 304 stainless steel product contact parts, adjustable rate dry material delivery system, combined powder chute with fluid distributor, impulser, motor and dispersion chamber. The ARDE Dilumelt's operating principle, design and construction permit is to be used in the chemical processing, pharmaceutical, food, textile, cosmetic, coatings and toiletry industries.